Have you ever heard of Colloidal Silver also called the Miracle Water? I have because it is on the lips of every other person in Jamaica. It is seen as a cure all and it is treated as such by everyone who uses it. It is often advertised on various media along with those who claimed that Colloidal Silver cure their ailments. They claimed that its health benefits are true and can be proven. Whether you are novice or not, you cannot help but wonder if Colloidal Silver really works due to the many testimonies of the users. Some have claimed that after they were diagnosed by professional doctors, they used Colloidal Silver to treat the diseases and upon revisiting the doctors after several months of consumption they were told that they were completely cured. Some of these testimonials are featured in the Western Mirror in Montego Bay on a weekly basis. Due to these miraculous healings, that is the reason Jamaicans called it the Miracle Water. Colloidal Silver or Miracle Water possesses many health benefits. It has been proven to cure the following ailments which are cancer, enlarged prostate, colon cancer, prostate cancer, worms, impure blood, leukemia, lupus, pneumonia, diarrhea, asthma, bronchitis, poliomyelitis, hemorrhoids, syphilis, herpes, fibroid, conjunctivitis, glaucoma, malaria, dengue fever, yeast infection, eczema, urine infection, pains, migraine, glaucoma, bad breath, sinus conditions, and Candida. It helps to prevent tooth decay, traveling sicknesses and it cleans the tongue. Miracle Water is also a good remedy for diabetes type one and two, high blood pressure (hypertension), blood circulation problems, erectile dysfunction, liver spot, stress, nightmares, blurry eyes, fatigue, constipation, niggerittis, acne, arthritis, menstrual conditions, infertility, block tubes, nose and throat ailments, ulcers, rabies, boils, measles, burns, cold, flu, shingles and many more ailments too numerous to mention. As mentioned before, it is the answer to every condition that plagues the body. You might not know what niggeritis is but it a term used by most Jamaicans when after consuming a meal you experience a sluggish feeling that primarily leads to laziness and sleep. It is that feeling when you no longer want to continue your work after eating a heavy meal. So, colloidal silver, I assume will re-energized and replenish the body as well as put you back in the working attitude. 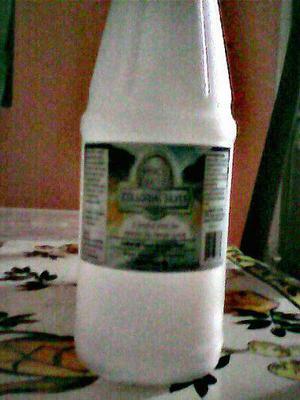 It is reported that pregnant mothers, nursing mothers as well as babies can also consume this miracle water. So, what ailments are you suffering from? Maybe colloidal water or miracle water and its health benefits may just be the answer.